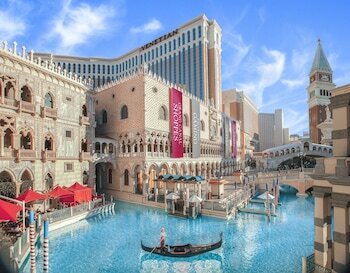 Here are some tips on getting the lowest Vegas hotel rates. Some may be obvious, but others, like clearing your cookies or our “promo trick”, will be ones that many people may have missed. 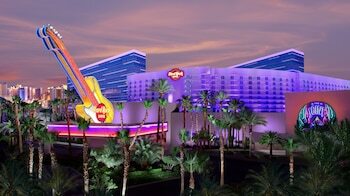 Get ready to save on your next Vegas trip! After you search for rates on a travel Web site, clear your browser cookies, or data files, that the site adds to your Web browser. Keeping cookies available sometimes means you’ll pay more for travel. Say, for example, you visit a travel website and view a $100 hotel stay for a certain hotel. The next time you visit that same site, you could be quoted a higher rate than the lowest available because of your searching and spending history. The booking site knows you last saw $100, so that could influence what you see. The same is true for airfare and air/hotel package rates. You can find detailed instructions for deleting cookies under the “Help” option in your browser menu, but in most cases it is very simple and under Tools / History. It only takes a couple clicks to clear them and it may also speed up your computer as a side bonus. Once you get a really good rate, don’t clear your cache and start searching for something better. Booking sites may see that really low rate and offer you something even better. You can get fancy with an Excel spreadsheet, or just use a piece of paper and write all the quoted prices you get in a grid. 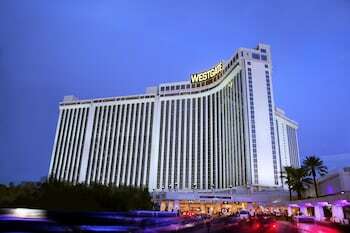 For a list of online sites, just do a search on Google for Las Vegas hotels. You should then search all the paid ads. Also look at the first couple pages of free listings. Don’t assume the best rates are at the top. Google does not rank travel sites based on price. However, unless you have heard of the website and it has been around a while (like this site – Las Vegas Direct that has been in business for over 20 years), you need to be careful. We would strongly caution against using an untrusted site, since the reservation may not be legitimate and you will be stuck paying for a room you never get. You can also check with the BBB to see if the site is listed or has any complaints. Only add hotels that you have a reasonable interest in staying. Just because a hotel is cheap does not mean you should stay there. Many people wind up ruining their trip when they get to an unknown hotel that had cheap prices. Do your homework and just go with hotels you know and want to stay at. Be careful of hotel reviews and be sure to look at more than a few, since they can often be seeded by the hotel staff. Be wary of extreme bad / good reviews with not much in between, since the good ones may be from the hotel. In general, real reviews should have a mix of reviews across the board with mostly better reviews. After you complete your grid and see what is available among your hotel choices, go with the lowest rate. Make sure you look at the totals including all taxes and fees. You should also consider hidden fees, like extra person or resort charges and parking fees. Also, most hotels will charge extra for more than 2 adults, so that is another extra fee to watch out for when you book. Most of the better hotels require resort fees and you can’t opt out of them. It is also important to look at what premiums you get with a service, like free tours, show tickets, dining, etc., since the hotel totals may all be very close, but if one company you trust is giving free buffet coupons, that would be the best deal. If you have a mobile device, you might find better rates for the same travel agency and hotel using it. Hotel booking sites often use a different system to enter rates for their mobile site and sometimes have more freedom to drop the rate more often for certain hotels. You may be lucky and get a promo code from a hotel that includes a special rate. These are usually sent to guests who have stayed there before. You can also try doing a search on Google for “hotel promo codes” and see what you can find. These deals are often the best you can find and will almost always be below any other place. You can even try calling the hotel to ask about their current promotions, or tell them you lost a promotion sent to you. This tip holds for the hotel website or an online travel agency. When you call to book a room, the rates can often be higher than the online rates. Always do a check online and never go with a pure call-in rate. Also, while it may just be a rumor, people say you can get the best call-in rate by dialing the local hotel number and not the 800 number, which usually links callers to an off-site, centralized call center. Instead of asking for the reservations desk, ask to speak with the manager, or the director of sales. These people have the authority to negotiate room rates. 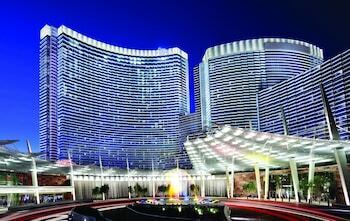 Las Vegas Direct Offers Unpublished Call Rates. Just call us 24/7 at 1-888-ME-VEGAS and ask for one. These unpublished rates can often be well below online prices and are a bit similar to those “name your own price” services. By not making the rates public, they can be significantly lower than any other source. However, it can also depend on the hotel and time of year, so also check the online rates. 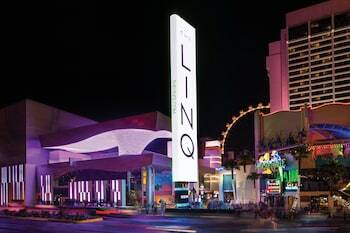 When comparing rates you may find deals that give you a free show, coupon books, gambling money, free buffet, etc. Assuming you need it, these can really make a difference in the bottom line, so take that into consideration when you look at the overall price of a hotel stay. Most hotel websites have very similar pricing these days, so the added perks are significant. If you book something at the last minute, the prices will be very high when you go to make the reservation. Despite what you may see and think, there are no “last minute reservation” discount prices. However, you don’t want to be too far out either, since the hotels will be pricing things at an average expected rate that may later turn out to be higher than what they settle on based on how busy they get near your stay dates. 1-3 months before your trip will often get you the best rates. The only exception to this rule would be if you are staying on a date where rooms sell out very fast, like New Year’s or a busy convention. In this case, book as early as possible. If you don’t make a reservation and just ask a hotel for a room when you arrive, they will often quote you a rate that is much higher than their online rate. In some cases you will pay up to 10 times or more of the the normal rate. 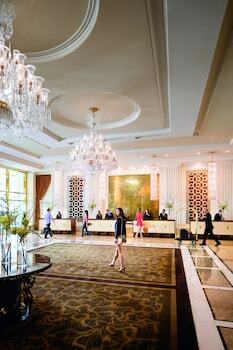 A little known secret is that last minute hotel bookings are a major source of hotel revenue. 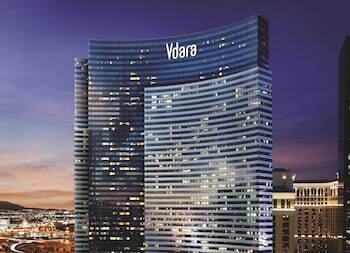 The hotels often hold on to rooms that appear sold out online just so they can book them at astronomical rates when people go without a reservation. Don’t fall into this trap! Hotel prices vary based on demand. 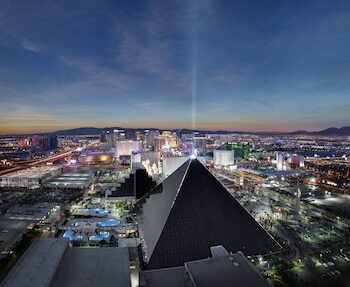 This means that the lowest rates will be had on times when most people are not interested in going to Las Vegas. You will also avoid a lot of the long lines. Rates are highest on Friday and Saturday, so if you can avoid these dates and stay Sun-Thurs you will save a lot on your stay. The next thing to avoid are major holidays that will push rates to very high levels. Included are July 4th, May 5th, Labor Day, Spring Break, Valentines Day, Memorial Day, Halloween, Thanksgiving, Easter, and New Year’s. Next in line are conventions. Be sure to check for major ones and avoid Vegas during these times. You can see a list of major conventions here. 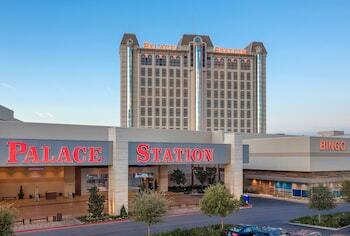 Large conventions will easily double or triple room rates. Even 2 star motels will be going for over $150 per night. If you have the flexibility to go any time of the year, you can get the best rates going when it is the worst weather. This means enduring the boiling heat of July-Sept, or the cold temperatures of Nov-Jan. You can usually pay less than half the normal rates offered on good weather times. Hotel rates can even vary based on the time of day. The best time of day to make a reservation is after 6 PM. This is when hotels wipe out all the no-show reservations that were unsecured by a credit card. They then offer those rooms at bargain rates. Unless you are what the casinos term “a whale” who gambles $1000’s of dollars at a time, you are not going to get a free room. At best, you might get a free or discounted buffet or show coupon, but even that will take hundreds of dollars worth of gambling. It is just not worth it. You can get the best rate for a given hotel using the tips we provide. However, we cannot stress enough the importance of staying in a reasonable room. You will spend much more time in your room than you think and will regret each day spent in some 1 or 2 star motel. The top hotels in Las Vegas are amazing, but they also have some of the worst hotels you can imagine. Often, for just an extra $30 per night, you can upgrade from a 2 star to a 3, or even 4 star hotel. 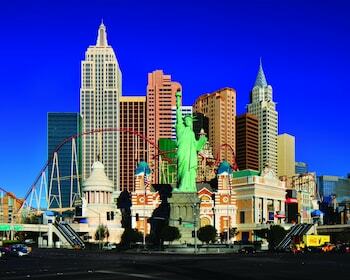 The better hotels will often be near the Las Vegas strip, so you will save a lot on transportation costs. 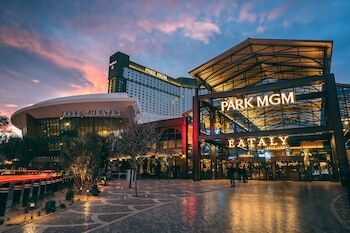 You need to take car rental, parking, and gas prices into consideration if you plan on staying at a cheap hotel located 10 miles from the strip. You are also much less likely to see all the sites, since driving in bumper-to-bumper Las Vegas Strip traffic is no fun and a real waste of time and money.